Welcome to patient monitoring, powered by ChronicCareIQ! Have you received a “Welcome to ChronicCareIQ” email? If the answer is yes, then great! This means your account has been activated and you’re ready to continue with the rest of this guide. However, if you have not received the email, then you should contact your physician’s office and ask them to send you the ChronicCareIQ welcome email. 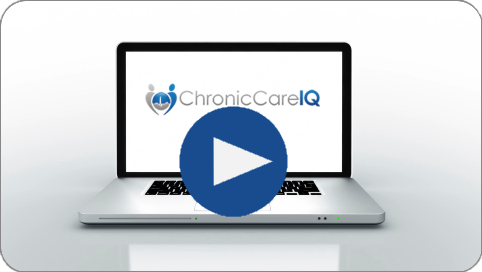 The remainder of this guide will assume that you have received the “Welcome to ChronicCareIQ” email. The following video provides a narrated guide through the process of setting up your account. Additional information is available below, detailing each of the steps for setting up your account. In your email inbox, find and open the message with the subject “Welcome to ChronicCareIQ”. If you do not see the message in your inbox, you may also want to check your spam/junk folder. The email should look similar to the following. 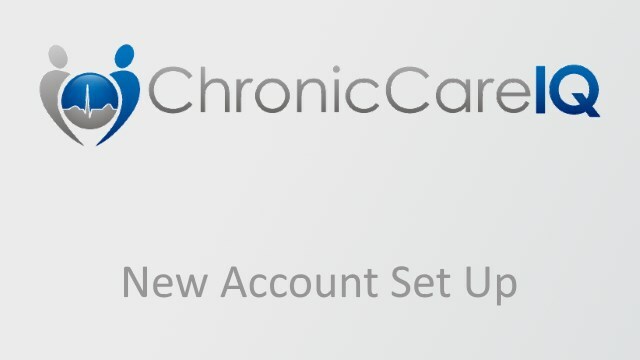 Press the “Set Up Account Now!” button to begin setting up your new ChronicCareIQ account. 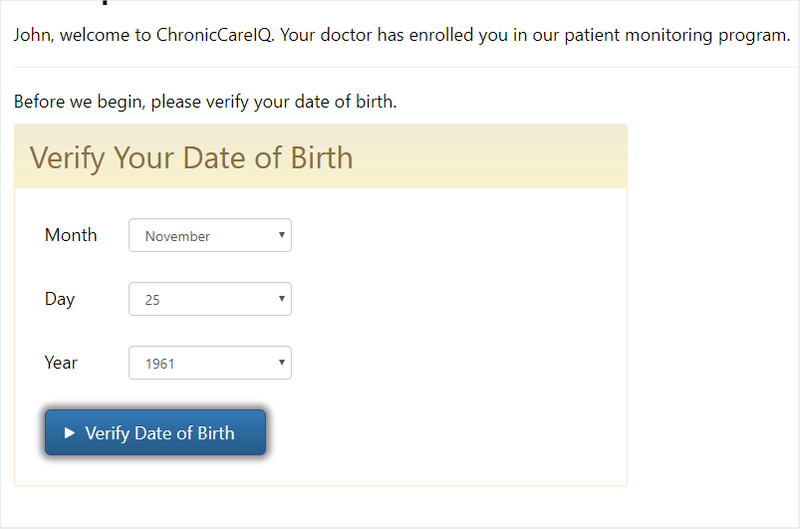 Verify your date of birth by selecting the correct month, day, and year, followed by pressing the “Verify Date of Birth” button. Review the ChronicCareIQ terms of usage, then check the box stating “I have read and accept the terms of usage.” Press the “Accept Terms” button to continue. 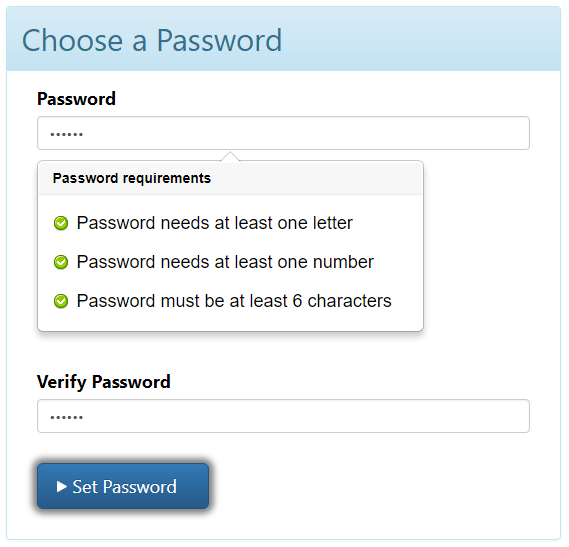 Enter your desired password in the “Password” field, and then enter it again in the “Verify Password” field to confirm. Press the “Set Password” button to continue. Your account is now set up and ready to use! Please take a moment to write down your user name and password in a safe location. You need both to access the mobile app and the website. You can view your user name and password on the screen after you’ve completed the set up process. What are Chronic Care Management (CCM) Services?